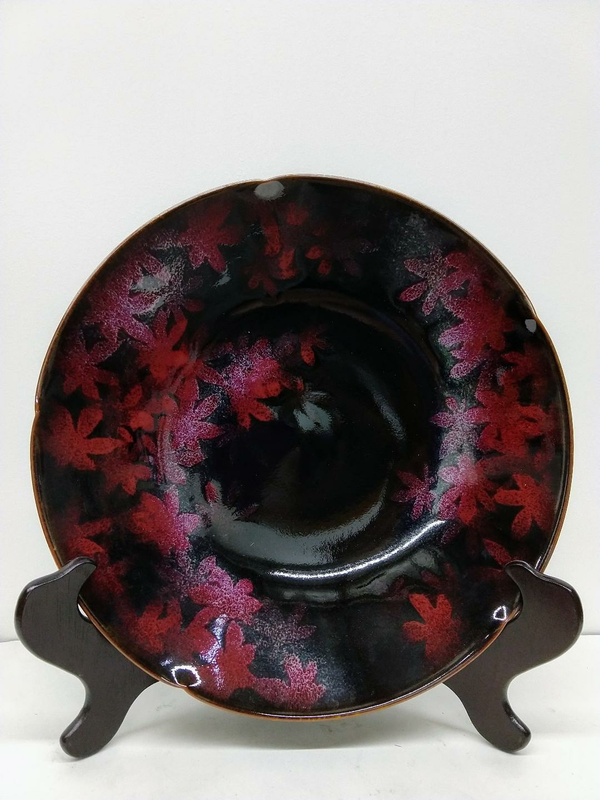 Striking large black plate with contrasting red maple leaves. 11 5/8 in diameter and 2 1/2" in height. Comes with own wood gift box. Large 13" tripod sold separately, $8.50. See more under Tripods.